The city has found its first rabid bat of 2016, marking 121 rabid animals found in the area this year. Nearly all human cases of rabies in Canada over the past several years have been a result of bites from rabid bats, the city says. The city has found its first rabid bat of 2016, marking 121 rabid animals found in the area this year. "Nearly all human cases of rabies in Canada over the past several years have been a result of bites from rabid bats," the city said in a news release. "Bat bites may be hard to see." As of July 14 of this year, testing has found 72 rabid raccoons, 48 rabid skunks and now, one bat. 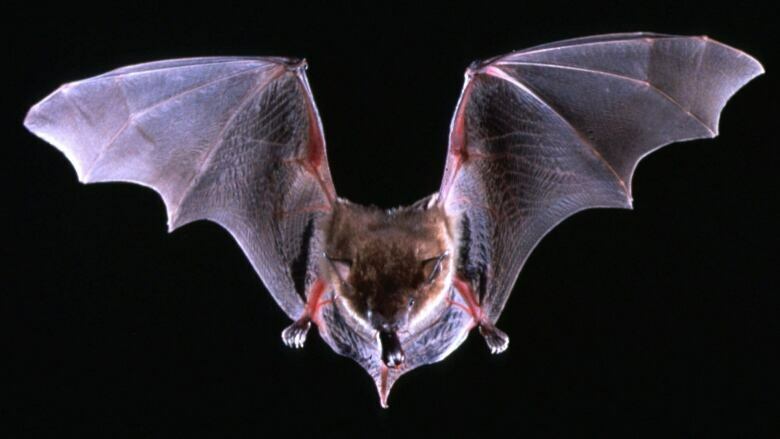 Two rabid bats were found last year, compared to one in 2013 and none in 2012. "While residents should always steer clear of wild animals, Hamilton has a high number of rabid raccoons and skunks, and the highest amount for Ontario," said Richard MacDonald, the program manager for Public Health Services in a statement. "We need people to stay away from wildlife, in particular raccoons, skunks, bats, and unknown dogs and cats. Our overall goal is to prevent human cases of rabies — as rabies is almost always fatal." The city says the overall risk for the public being exposed to the virus remains low, but there are measures that people can take to minimize their risk of contracting it. Always keep a safe distance from, and avoid contact with wild animals including raccoons, skunks, bats, unknown dogs and cats and other wild animals. Rabies can make animals aggressive or it can make them appear sick, scared, or friendly. Call Hamilton Animal Services at 905-546-2489 if you see a dead, sick or strangely acting raccoon, skunk, bat, or other wild animal. Do not feed, help, handle, or relocate any wildlife or keep them as pets. If you are bitten by a wild animal, or had direct contact with the animal's saliva, wash the wound with soap and water, seek medical attention immediately or call Public Health Services at 905-546-2489. Vaccinate your pets against rabies, and keep rabies vaccinations current for dogs and cats to protect them, and prevent any spread to people. Contact your vet or the Ontario Ministry of Agriculture, Food, and Rural Affairs (OMAFRA) at 1-877-424-1300 if your pet is in contact with a wild animal.